Amongst the huge array of spoken word in London, Chill Pill is hands down one of the best nights around. Long running and consistently entertaining, it’s curated by a group of knowledgeable and passionate poets who take their work seriously whilst also seeming to have a lot of fun. Raymond Antrobus, Mr Gee, Simon Mole, Deanna Rodger and Adam Kammerling are amongst the most successful of London’s current spoken word generation, full of energy, warmth and talent. A night spent with the Chill Pill collective will inevitably encompass a whirlwind of fast-paced chat, boundless enthusiasm and inspiring poetic performances. Over the last few years these guys have gone from strength to strength, from humble beginnings to huge sell out shows at the Albany and regular slots at the Arcola and Soho Theatres. The format is kept simple with open mic spots, featured poetic and musical acts and regular slots for the Chill Pill poets to showcase their own work. Quirky touches keep the night fresh for returning visitors, such as the ‘headline feature’ where a Chill Pill poet will present a new poem based on that day’s headline, or ‘Classics Corner’ where a prize will be offered to the person who can guess who wrote a particular poem flashed up on the screen before the break. 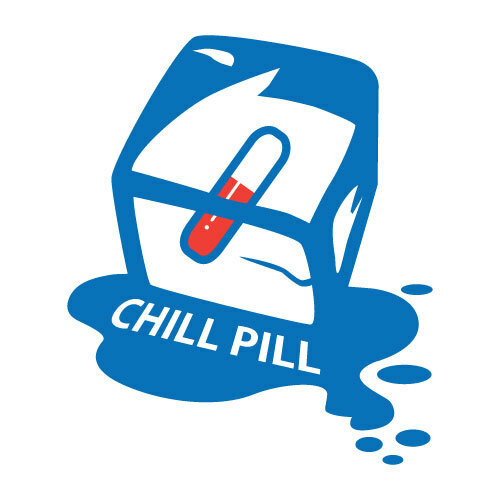 Slick programming and a collectively gargantuan contact book means Chill Pill has got a well-deserved reputation for hosting the hottest acts around, which attract big, enthusiastic audiences from a variety of backgrounds. The audience is also often peppered with their poet mates so one of the best things about Chill Pill is that seasoned acts will often crop up on the open mic alongside the talented medley of aspiring performers. When both time and money are precious, it can be easy to stick to your local Odeon and a tub of Ben & Jerry’s for safe midweek entertainment, but Chill Pill is one of those gems that will always sprinkle your routine with explosive spice. The title Chill Pill is probably the only thing about the night which isn’t absolutely brilliant. While intended to reflect its laid back, open atmosphere, I feel it’s a bit lacklustre, not really expressing the verve and variety of what’s on offer. So this latest instalment at Canada Water Culture Space didn’t just do what it said on the tin, it scribbled beautiful multi-coloured graffiti all over the tin with a permanent marker. Chill Pill poet Mr Gee turned disaster to comic triumph when his decks didn’t turn up; he simply put a huge pot of white paint on stage proclaiming ‘I’ve bought some vinyl’…his set was reflective with several poems about life in London, contemplating the endless routine of daily life, finding meaning in ordinary details. Mike Galsworthy was the first open mic’er with a satirical and topical poem told in the style of a smarmy politician’s speech, reflecting dissatisfaction and anger at the dishonesty of the political elite. Amy Acre, who has recently published her first collection Where We’re Going We Don’t Need Roads performed an understated, immersive story wrapped up her narrative in sensuous rhythms, before Ben Norris performed a piece about a very recent bereavement which was refreshingly honest in its treatment of a hugely personal subject. The next Chill Pill poet was Simon Mole who performed an extract from his new show No More Worries. The scene he read took place in a club, as main character Kieran attempted to lose himself in the night and finds temporary oblivion more elusive than it used to be. Simon is really good at creating rounded characterisation within a few lines, slipping between dialogue and description to set his scenes. He’s currently scratching the piece as part of the writing process. After that, Deanna Rodger carried on the clubbing theme with a typically high octane, dramatised style. Her intensely delivered streams of consciousness managed to be fun, rhythmic and moving, striking points of feeling that the audience could relate to. Particularly affective was her description of bumping into a crush in a bar, trying to be cool but completely falling to pieces, absolutely hilarious and very true to life. I’m always blown away by Deanna’s energy and her ability to hold an audience, no wonder she is also an actress! By this point in the proceedings the slightly dodgy microphone which had been tentatively used by the first few poets had been more or less abandoned (luckily, the small theatre space had good acoustics). The lack of mic encouraged performers to move around more and physically connect with the audience, both with eye contact and more open body language. And back to the open mic, Jack Hall’s impassioned piece describing growing up in his home town was delivered in a whirl of punching rhythms as he careered around the stage. I felt he could have slowed down his delivery a touch, experimenting with varying the pace to allow the audience time to consider his descriptions, but nevertheless his honest poem was raw and heartfelt. Next up was…me! I had been practising a poem about growing old disgracefully for some time and couldn’t wait to try it out. I particularly enjoyed not having the use of a microphone, it freed me up to act and enjoy it a bit more. Roya Shadman’s gentle but firm feminist poem was a delight to listen to. Through simple description and articulate expression she gave her points far more impact than if she’d shouted them. Poet/rapper Adam Kammerling performed some new work that he’s putting together with his producer Cuth. He had an erratic, childlike energy, bouncing around the stage in chunky knits, spitting rhymes about feminist issues and cooking the perfect curry…his writing is simple and evocative, and his hilarious originality makes him a very entertaining performer. As mentioned earlier, one of the most attractive things about Chill Pill is it’s consistently first rate line up of poets from all over the world. The collective don’t just write and perform poetry, it’s clear they love reading and listening to it as well. Pretty much every Chill Pill I’ve ever been to (and I lost count ages ago) has featured at least one unusual-but-inspiring, famous-but-humble poetic genius who sat patiently at the side for most of the night before casually wiping the floor with everybody who had come before. And Jon Sands was no exception. My own experience of listening to American spoken word artists is quite limited, but I’ve heard enough to know that the rhythms, syntax and assonance they apply is often very different from their British counterparts. The best way I can think of to describe it is that it’s less ‘rappy’ than London spoken word, more often driven by a straight form of free verse delivered at breakneck speed with the occasional pause. But it’s unlikely Jon Sands would fit into any particular stylistic stereotype; his drawling Cincinnati twang and unique blending of sardonic wit with earnest intensity is clearly entirely his own. His energetic performance was incredibly engaging, using a unique physicality, whilst a cheeky glint in his eyes entranced his captive audience. But more than physicality, his originality penetrated his rhythms, his pace and his turn of phrase. He performed a selection of poems about life, love and family including some from a recent collection The New Clean. One poem about making fun of a girl in high school stood out particularly because it was a little bit cruel but at the same time self-deprecating, his quirky imagery artfully held together by a strong sense of narrative and a sly humour. It’s all about the Zing! After Jon Sands performance the whole audience was buzzing, with many people hanging round excitedly afterwards to chat with all the poets in the foyer. It was clear the open atmosphere and range of compelling performance had inspired an incredibly appreciative audience and, personally, I left feeling exactly like I always do after Chill Pill, itching to get my pen out on the train home! Catch the next one on 19th March at The Albany it’s 100% guaranteed to be marvellous.